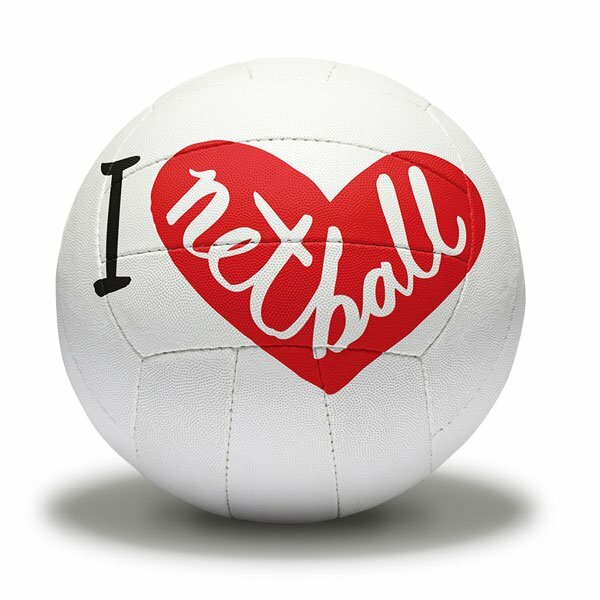 Netball is similar to that of Basketball although the rules, equipment and team numbers are slightly different. No dribbling; no running with the ball; 7 players per team; ball must be passed in 3 seconds; ball and basket are slightly smaller, there is no backboard; and players are designated to certain areas of the court. Starting or Re-starting the Game, the Centre passes are taken alternately by the two centres of opposing teams after a goal has been scored. All players must start in the goal thirds except the two Centres. The centre with the ball starts with either one or both feet in the centre circle and must obey the stepping rule after the whistle had been blown. The opposing Centre stands anywhere within the Centre Third and is free to move. The centre pass must be caught or touched by any player in the Centre third. Offside: Players moving out of their designated area, with or without ball. Over a third: Ball may not be thrown over a third or two lines, without being touched. A player who has caught the ball shall play it or shoot for goal within three seconds. A player may bounce or bat the ball once to gain control. A player who has caught or held the ball may not bounce or drop the ball and replay it. A player may not throw the ball while lying, sitting or kneeling on the ground. One foot – while the landing foot remains grounded, the second foot may be moved anywhere any number of times, pivoting on the landing foot if desired. Once the landing foot is lifted, it must not be re-grounded until the ball is released. Two feet (simultaneously) – once one foot is moved, the other is considered to be the landing foot, as above. Hopping or dragging the landing foot is not allowed. Only Goal Shooter (GS) or Goal Attack (GA) can score-they can shoot from anywhere within the goal circle. Only one point is awarded per goal. If another player throws the ball through the ring no goal is scored and play continues. No player may contact an opponent, either accidentally or deliberately, in such a way that interferes with the play of the opponent or causes contact to occur. Player with the ball: the nearer foot of the defender must be 0.9m (3ft) from the landing foot of the player with the ball, or the spot where the first foot had landed if one has been lifted. 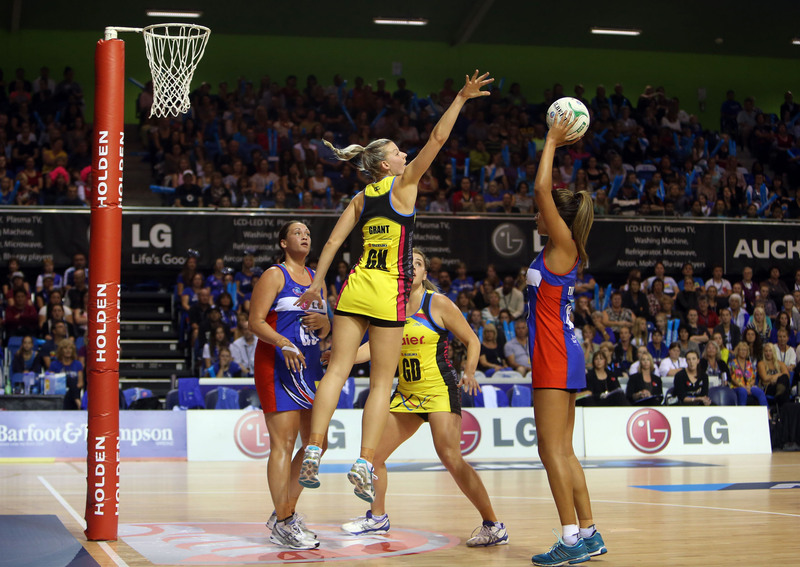 The defender may jump to intercept or defend the ball from this distance. Player without the ball: the defender may be close, but not touching, proving that no effort is made to intercept or defend the ball and there is no interference with the opponent’s throwing or shooting action. Goal Shooter (GS) scores goals and works in and around the goal circle with the Goal Attack. 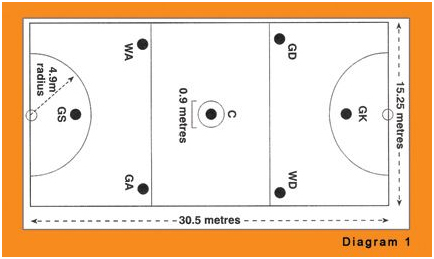 They are only allowed in the Goal third and goal circle for shooting, must not cross the first transverse line. Goal Attack (GA) feeds and work with the Goal Shooter to score. The Goal Attack is allowed in the Goal third, shooting circle and Centre Third. Wing Attack (WA) feeds the goal circle players giving them shooting options. The WA is allowed in the Goal & Centre thirds, must not cross the defending or second transverse line. Centre (C) takes the centre pass and controls game flow between attack and defence. The Centre players can move through the entire court except the shooting circles. Wing Defence (WD) looks for interceptions and prevents the opposition Wing Attack from feeding the ball into the goal circle. WD can move in the same way as the WA, using the Centre and Goal Thirds but not the shooting circle. Goal Defence (GD) defends the Goal Attack, looking for interceptions, trying to prevent the opposing Goal Attack and Goal Shooter from scoring. The GD can work within the defending goal circle and centre third but not to pass the transverse line going into the opponent attacking area. Goal Keeper (GK) works with the Goal Defence to prevent the opposition Goal Attack and Goal Shooter from scoring. The GK is able to work within the goal circle and up to the first transverse line.